Our handy dining room lighting guide tells you everything you need to know about illuminating your dining room. The right choice of lighting is essential to making your dining room a comfortable and enjoyable place to socialise and enjoy a meal. Good dining room lighting can help to create an inviting aura for dinner parties, an intimate atmosphere for those cosy moments, or a friendly impression for family get-together. 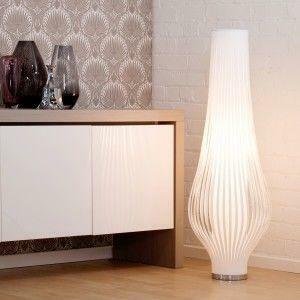 When planning dining room lighting, think about creating a lighting scheme, with different layers of lighting. Layered lighting ensures that your room is adequately lit for every occasion. A ceiling light will provide the main source of ambient lighting in a dining room, whilst table lamps and floor lamps can provide focused task lighting and accent lighting where it is needed around the room. At the centre of most dining rooms is usually a dining table, where everyone gathers to eat, so dining room lighting should focus around this. Make the table the brightest part of the room to create a welcoming vibe that draws people in. 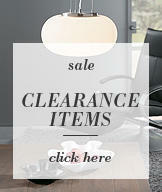 A stylish ceiling light will create a centre focus in a dining room, even when switched off. A rise and fall ceiling light provides practical lighting which can be lowered when needed, whilst a pendant light works well hung central above a dining room table to provide focused light. Whatever dining room ceiling light you choose, it should make a statement whilst maintaining a balanced look with your dining room furniture. The dining room is the perfect space for a special lighting feature that makes a statement. 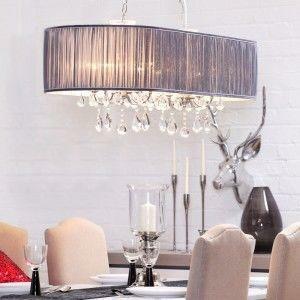 A dining room chandelier will add wow factor and provide a centrepiece for dinner parties and celebrations. 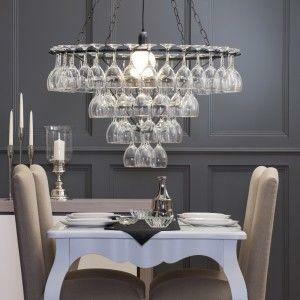 Chandeliers traditionally have a very decorative look which is perfect for classically styled dining rooms. However, Litecraft also stock a range of contemporary chandeliers, such as our best selling wine glass chandelier that will create a conversational piece in any dining room. Adding lamps around the dining room can help to create a more cosy and intimate atmosphere with softer lighting at a lower level. 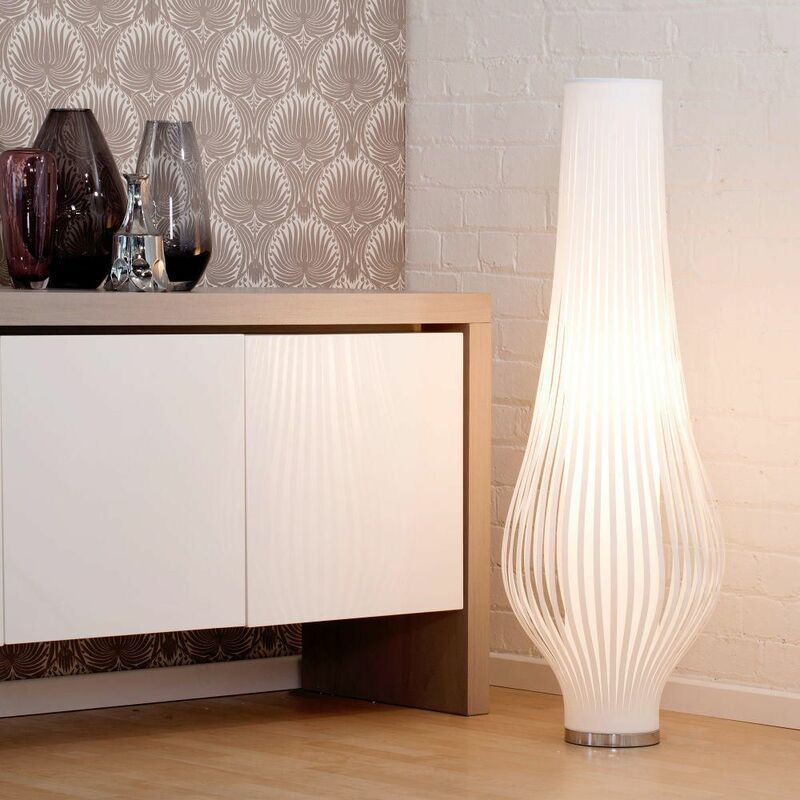 Place a decorative table lamp on a sideboard to give the space a subtle glow, or illuminate a dark corner with a stylish floor lamp. For intimate evening meals, simply switch off the main light and enjoy the gentle illumination of lamps instead. 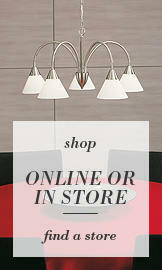 View our full range of dining room lighting online here.